University of Westminster Men’s Basketball Programme is now standing up and speaking out regarding facilities the university are currently providing. The Harrow Sports Hall provides match and training facilities predominantly used by the University student sports teams for a range of different sports including five-a-side football, basketball, netball and cricket. In addition to these sports, the venue is used for different events including local community sports development schemes and charity competitions. The facility is flexible and can be set up in a variety of layouts for a range of different sports. 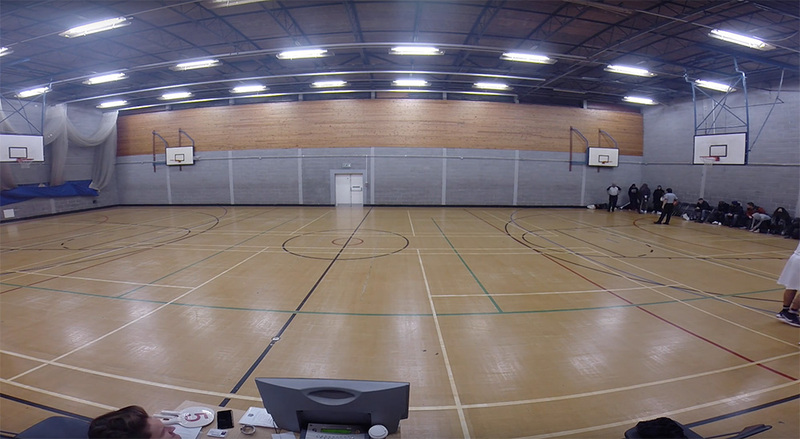 The sports hall requirements are overall minimum air temperature of 12°C to 16°C is adequate for active sports, whereas 20°C may be more appropriate for social use or more sedentary activity. Harrow Sports Hall in the winter drops way below this temperature, meaning the cold weather can potentially lead our athletes to damaging injuries. 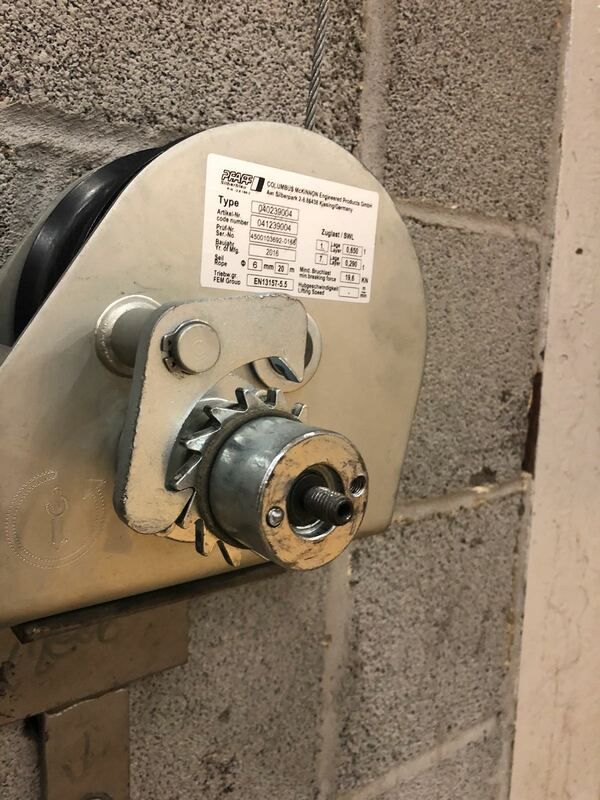 Condensation on walls or floors should always be eliminated, as this can be dangerous and poses a threat to player safety. Harrow Sports Hall contains several holes which allow cold drafts and even snow to fall through to the venue. The sports linings on the floor (Basketball, badminton, netball, football) have not been updated since 2012, which doesn’t allow this venue to compete at national or local leagues. The basketball rim wind-down system is outdated, and it consistently fails and breaks throughout the year. 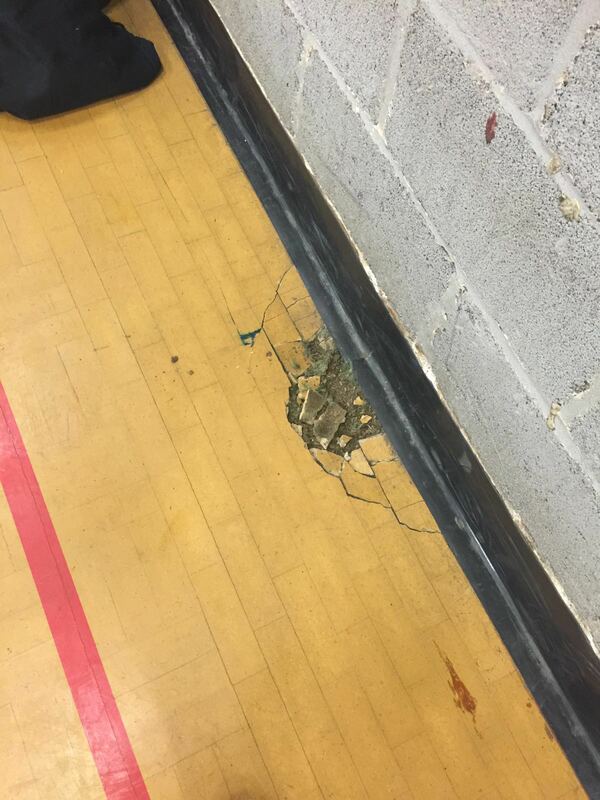 This causes significant disruptions in other sports hall bookings (such as football if the rims cannot be put up). Basketball backboards and rims are unfortunately outdated and need to be updated with padding and conventional rim mechanisms for the safety of the athletes. 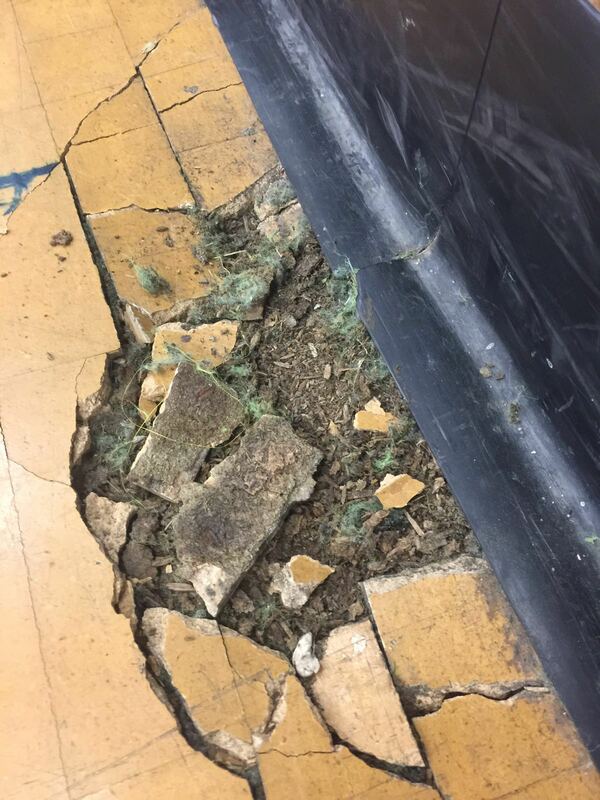 The sports hall flooring needs to be replaced as it’s not been refurbished in over ten years. The amount of wear-and-tear and dust the floor has collected over the years make this floor a health and safety issue. 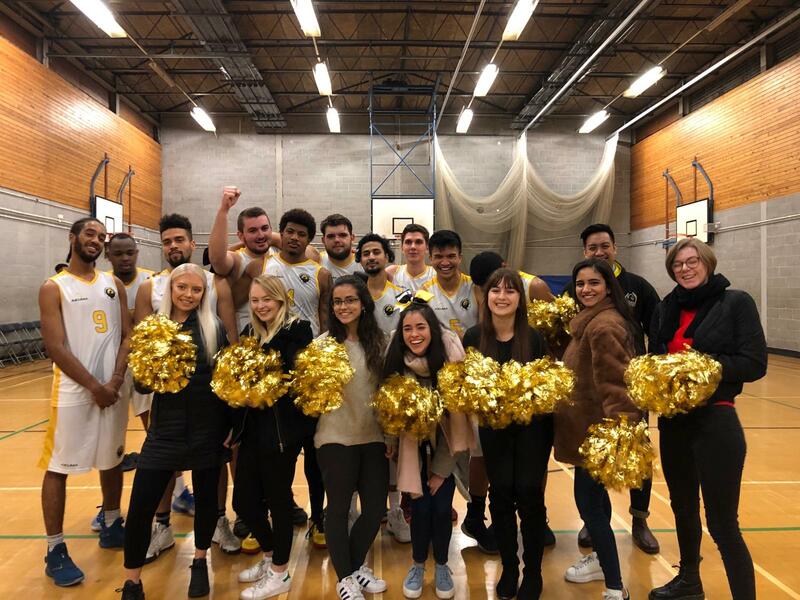 We hope the university can listen to the voice of the students and athletes involved in the University of Westminster Men’s Basketball Club and the UWSU Dragons. Westminster comes from a sporting heritage in our founder Quintin Hogg, as the university fully endorses and pushes his sporting achievements as an attraction for our sporting venues. After playing in Harrow Sports Hall for so long, our Men’s Basketball programme have decided to speak up; as we believe it’s time for the University of Westminster to take action – as it no longer is just about refurbishing and building, but importantly the safety of our student-athletes who pay several thousands of pounds to represent the Dragons and study at the University of Westminster. The University of Westminster Men’s Basketball attracts high-level international Masters student-athletes (Over £25,000+ in international students fees in the past two years) who have chosen to study at the university specifically to be part of our basketball programme. These talented student-athletes have competed in the NCAA (North College Athletic Association) in America, the most famous college-basketball organisation in the world. This is not even including the homegrown talent and EU students who have enrolled at our university to be part of the Basketball programme – as we have University and National League Basketball clubs, the only university in London to provide both opportunities. Our alumnus and current players includes athletes who have competed for their National countries, European basketball clubs and Elite Basketball National League programmes in the UK. As of 2019, the Men’s Basketball programme here at Westminster is now currently active with 45+ student-athletes members, 4 coaching staff members and 4 competitive teams, growing from only 1 team, 1 coach and 15 players back in 2015. New under-heated flooring for the sports hall, to ensure the safety of athletes competing. Walls and floors need to be sealed and finished to a professional standard, this will help maintain the temperature of the sports hall. New basketball rim system which allows the team to compete on a National Level, which includes padding, rings that are secure and safe, electronic system to replace the outdated lever. Sports Hall linings to be updated to comply with national standards. If we’re to continue to operate and build on the success of our basketball programme, including winning a university championship in 2018, the first championship since 2011 – we ask the university to support the student-athletes here at Westminster to help us compete and carry on the sporting heritage they are pushing and endorsing. We strongly believe the sporting venues and facilities that the university is currently providing should be addressed. We believe if this petition can get a significant amount of signatures, it will help get our voice across to the university. Please sign our petition, help us to reach our potential, it’s time to let our voices be heard! Thank you all for your support and the time.